"In about six miles we came in view of a remarkable little eminence in a bluff of red sandstone, which almost perfectly resembled a rustic cottage, with a deep-arched doorway and gently sloping roof, covered with scattering cedars. The illusion was very strong, and became more and more perfect as we approached, until we almost expected to see someone issuing from the portal to gaze upon the passing train." 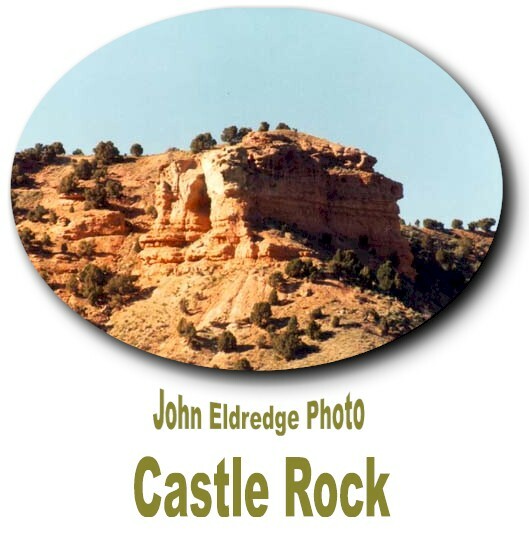 By 1868 when the railroad was being built this formation became known as Castle Rock.